These letters are a great way for Pastors to reach out to those who have been missing from the services for a while. Of course, the best option would always be a phone call or visit, but perhaps there are times a letter would be appropriate. They can either be used in Greeting Cards or Letters! Written by a Pastor with over 35 years of ministry experience, they will be a great addition to ministry efforts! 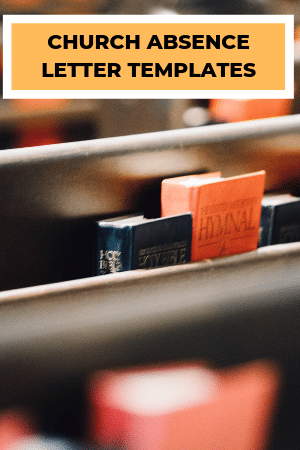 Whether it’s a letter to an inactive member to determine membership intentions or a letter sharing the value of faithful church attendance, or even a general letter to someone who has been missing church, you are sure to find letters you can easily modify and use! Take some time to scroll through the letter titles you see below. 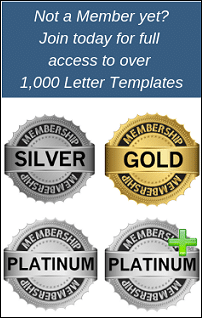 For a paragraph “snippet” just click the plus symbol next to the title, and to see the full letter text be sure to become a member! Not a member of our site yet? I am writing to personally say that your church family at FIRST CHRISTIAN CHURCH misses you. We care deeply for our members and visitors. We strive to be a community where people are known and loved. We want to let you know that we care about you and notice when you are unable to be with us. I value you greatly and am care deeply about your walk with the Lord. If you have chosen to worship elsewhere, would you just let me know? I always like to know if I’m still your Pastor, so I know whether to reach out in times of need, etc. Hebrews 10:25 (NKJV) 25 not forsaking the assembling of ourselves together, as is the manner of some, but exhorting one another, and so much the more as you see the Day approaching. We miss you at church and we also ask that God be with you and watch over you today and every day. If there’s anything I can do to help you, please don’t hesitate to ask and if there are any concerns you have that you’d like to share, please reach out to me. I am writing to personally say that your church family at Christian Life Church misses you. As you know we are committed to the person of Jesus Christ, and we base our teaching upon God’s revealed word, the Bible. Logged in Members, CLICK HERE to view and/or copy full text! Kyle Idleman has a tremendous preaching/teaching series called “Not a Fan”, and with first glance at the title it might seem like the statement is being made that we shouldn’t be a “fan” of Jesus, and really, this is what is being stated! The idea though is that so many people are actually “fans” of Jesus and not “followers” of Jesus. When Jesus was here on the earth He had a lot of what would be considered “fans”. Logged in Members, CLICK HERE to view and/or copy full text! We trust you are doing well, and God is richly blessing your life! 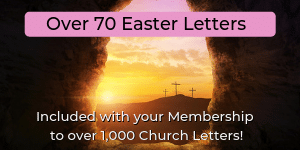 We are writing this letter to you to determine your intentions regarding your membership status here at (NAME OF CHURCH). We’ve noticed you have not attended in some time, yet perhaps something has come up that has needed your attention during this period of absence. Logged in Members, CLICK HERE to view and/or copy full text! I am writing this letter to let you know of an urgent situation here at (NAME OF CHURCH), and to ask for you to prayerfully consider the following requests. First of all, we are asking that you lift us up in your thoughts and especially, your prayers. The Bible is clear that when we agree in prayer together, God is able to work miracles; Matthew 18:19-20 (KJV) 19 Again I say unto you, That if two of you shall agree Logged in Members, CLICK HERE to view and/or copy full text! I wanted to take this opportunity to send this letter to let you know that we have missed you here at (NAME OF CHURCH). As you may know, I became the Pastor on (DATE), and am excited about all that God is going to do here as we move forward in His purpose and plan for our church. Logged in Members, CLICK HERE to view and/or copy full text! Fellowship is an integral part of church life. We all need it, whether we like to admit it or not, especially as Christians! Acts 2:42 – They devoted themselves to the apostles’ teaching and to the fellowship, to the breaking of bread and to prayer. There is something powerful about having fellowship and camaraderie with one another that helps us get through the bumps and bruises of life. Logged in Members, CLICK HERE to view and/or copy full text! I wanted to take a moment to send a note to let you know how much we have missed you in services the past few weeks. I trust you are well! 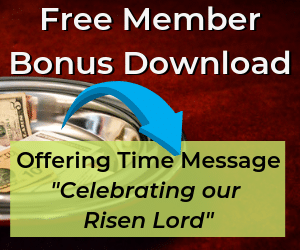 While there are several avenues to receive the Word of God in our lives such as television, internet, Logged in Members, CLICK HERE to view and/or copy full text!